The final list of courses offered each semester will be confirmed after arrival on campus. The following is a sample list of courses offered. Courses are subject to change at the discretion of the University of Hyderabad. Students on the Traditional Academic Program are encouraged to take a language course and must choose at least one University course as part of their 4 course load. Basic Hindi focuses on vocabulary, foundational grammar patterns, and traditional pedagogy more appropriate for students intending to enter Intermediate Hindi during their time in India. Intermediate Hindi follows on from Basic Hindi 101 and teaches further familiarity with grammar rules and vocabulary. Conversation forms a large part of this course in order to give students more confidence when speaking Hindi in their everyday life in Hyderabad. This course introduces students to the classical language of India. Focus is on vocabulary, basic grammar and syntax as well as reading and writing. This course introduces students to the basics of the Telugu language, focusing on conversation, reading and writing. Whenever possible, emphasis is given to practices (dialogues, role-playing, etc.) which allow students to use the language in real-life contexts. This course introduces students to the basics of the Urdu language, focusing on conversation, reading and writing. Whenever possible, emphasis is given to practices (dialogues, role-playing, etc.) which allow students to use the language in real-life contexts. Understanding the nature of religion has remained a preoccupation for philosophers, theologians, historians and anthropologists for centuries. This course introduces students to anthropological approaches to understanding religion, and also exposes students to various religious traditions observed in various parts of the world. Kuchipudi is a graceful dance form that incorporates complex foot patterns and hand gestures (called mudras) along with an emphasis on abhinaya, a stylized form of expression. Students will learn both theory and practice and will participate in a final production as part of their assessment. Provides a broad understanding of India and to expose students to the prevailing debates on various issues confronting contemporary India. Students will learn about the social and cultural diversity that exists within India and focus on selected themes of current interest or concern in India today. A history of the introduction and growth of Islam in India is followed by a study of sufism, the ghazal, indo-Islamic art and architecture and other cultural aspects that grew out of the confluence of Hindu-Muslim societies. Field trips will add real life experience and context to classroom lectures. Beginning with the post World War II period, continuing through the cold war period, and to the present era of globalization, the course traces the de-colonization and emergence of developing countries, and discusses important concepts in International Relations. This workshop-style course uses readings from Indian Writing in English to get a sense of contemporary and older literature from the subcontinent. Students will use these readings to inspire and guide their own writing across genres – short story, essay, poetry, and creative non-fiction. This class traces the practice and politics of writing by and about Hyderabadi Muslim women. 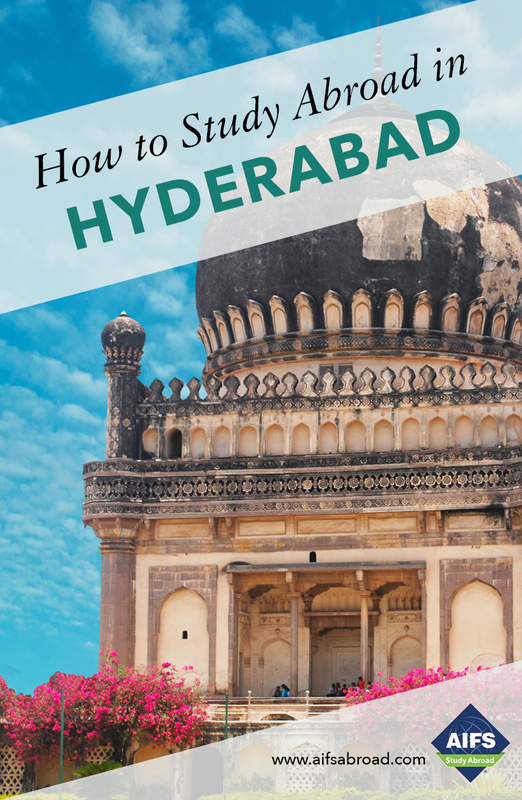 It offers students the chance to study a number of primary and secondary texts that represent the complex ways in which women have “written” their selves – their personal and political identifications and dis-identifications – in connection with Hyderabad. Students will read both texts originally written in English and those translated from Urdu. This course introduces students to the various forms, important concepts, and movements in this genre of Indian literature. As part of the course, students will read books written in English by authors such as Amitav Ghosh and Raja Rao, and also books in translation by stalwarts like Mahasweta Devi and Girish Karnad. This course provides a survey of major philosophical traditions in India since the ancient times. Specifically, different schools of thought in Hindu, Buddhist and Jain traditions are analyzed. The worldwide resurgence of interest in Buddhist philosophy demonstrates that its ideals of logic, individualism, tolerance and freedom have appeal in the 21st century. This course introduces students to the teachings of the Buddha through the Tripitika texts. This course offers an understanding of Yoga in the context of religion and explores the different approaches in Yoga based on age and stages in life: Srsti, Siksana, Sthiti/Raksana, Cikitsa, Adhyatimika/Laya Krama. The Asana principles, Pranayama theoretical foundations and Dhyanam theory and practice are also covered in detail. Both theory and practice will be part of the assessment. The objective of this course is to understand the historical, socioeconomic context of human rights in India. Various issues and concerns of human rights activists in India, such as poverty, land reforms, and development will be discussed in the context of disadvantaged demographic groups such as tribes, labor, children and women. Beginning with the colonial encounter and 19th century reformist attempts at improving the social condition of women in India, women’s empowerment and emancipation efforts in India have come to acquire significant positions in the women’s movement. While looking at women’s rights’ activism chronologically, the course also provides a thematic focus through a discussion of case studies, to get a better idea of the varied paths that women’s movements in India have traversed. This course is about understanding Indian food ways, and the cultural constructions of food and nutrition in Indian society. Students will learn how culture, geography, and economy affect food habits, compare traditional agricultural practices with current ones and how government policy has played a role, and explore how globalization changes food choices. Beginning with a discussion of foundational theoretical debates in the field, the course will explore gender inequalities in various institutional contexts, and give students an understanding of the women’s movement in India and the issues that have been central to it. Contemporary gender issues as reflected in the media will form an important part of class discussion. Students are encouraged to maintain a journal tracking media coverage of gender issues. Students on the Traditional Academic Program can also select from over 200 courses offered every semester by different departments and schools that change by semester. Students are required to take at least one University course as part of their 4-course load. For information on available courses and course descriptions please contact the AIFS Admissions Officer. Below is a sampling of courses that AIFS students have taken in the past. Courses are subject to change at the discretion of the University of Hyderabad. AIFS students can also take classes in the following Schools provided they have the required prerequisites. An Independent Study course works exactly like a regular University course in terms of course outline, number of credits, and academic requirements. The student will submit a proposal on a topic of their interest and if accepted, will work one-on-one with the professor on the course. Some of these may require prerequisites. In addition to the two required courses below CEP students choose two courses from the Traditional Academic Program course listings. This course includes classroom instruction as well as hands-on time in the allotted NGO (Non-Governmental Organization). Students will be introduced to basic ethnographic methods and ideas, as well as gain some understanding of community development concepts, principles, processes and practices. The course will explore a people-centered approach to social change, with emphasis on distributive justice, ecological awareness, local knowledge, participation, and gender equity with reference to the role of NGOs in various development initiatives. Students will be required to keep a field journal of their experiences, and assignments will include a book review, project proposal and a final course project. Students will take a language course based either on previous knowledge of a local language (Hindi, Telugu, Urdu) or as appropriate for the NGO placement. Language skills will be developed through classroom interaction, take-home assignments, and practice in the field. The final list of courses offered will be available to students in the first week of classes each semester.